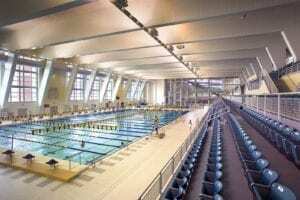 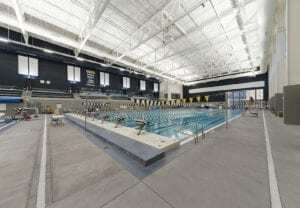 The Allan Jones Intercollegiate Aquatic Center at the University of Tennessee is a first-class complex capable of hosting NCAA Championships, the Southeastern Conference, and national and international events. 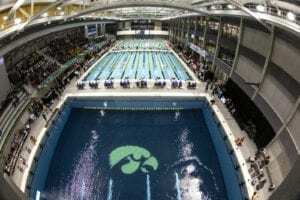 The center offers seating for 1,800 spectators with a spacious deck area to comfortably accommodate up to 2,000 additional individuals during meets. 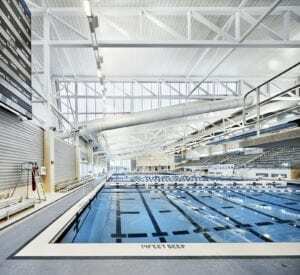 It is adjacent to the existing Student Aquatic Center; thus, University of Tennessee swimmers and divers have the luxury of training at one of three full-size 50-meter pools within 200 ft. of each other. 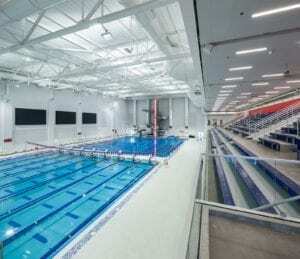 The center also includes a weight room, training room, and the University of Tennessee Swimming and Diving Hall of Fame.